Run by the Augustinians of the Assumption, the Institute Supérieur Emmanuel d’Alzon de Butembo (ISEAB) provides degrees in Philosophy, Development Sciences and Techniques and Information and Communication Sciences. In 2013, ISEAB opened the IT Management department which increased student numbers to 650. The IT lab is used for the Management Information Systems (IG) department and now includes 50 new desktop computers which also includes the classroom management solution, NetSupport School. Didier Remiot who is overseeing the worldwide economic operations of the Augustinians of the Assumption explains “We chose NetSupport School because I had seen it in a high school that I visited in Argentina. I was impressed and thought such a software would help make the classes at ISEAB more efficient and professional”. 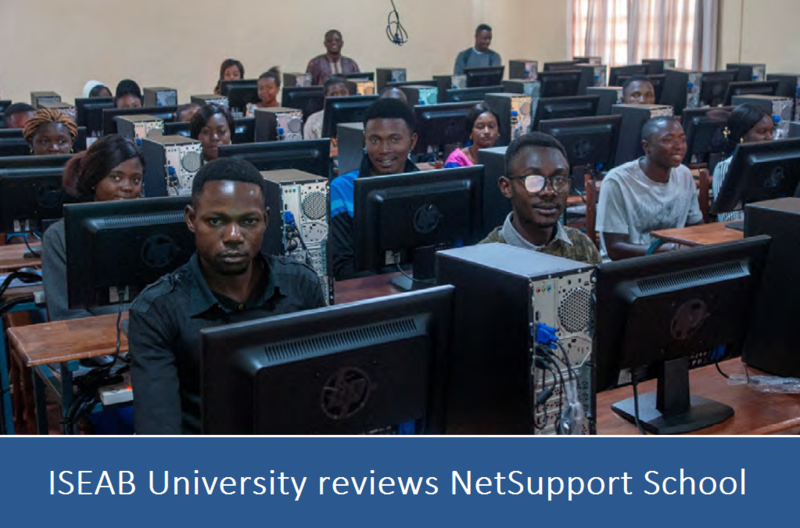 To learn more about NetSupport School and its dedicated assessment, collaboration, control and monitoing tools, click here.